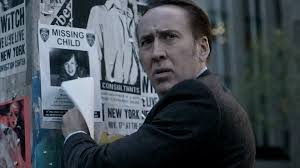 Oscar winner Nicolas Cage (Leaving Las Vegas) stars in this intense and chilling thriller about one man’s desperate search for his missing child. 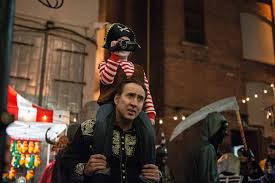 One year after his young son disappeared during a Halloween carnival, Mike Lawford (Cage) is haunted by eerie images and terrifying messages he can’t explain. 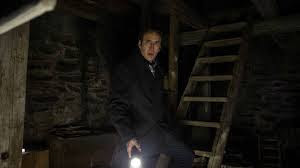 Together with his estranged wife (Sarah Wayne Callies, AMC’s “The Walking Dead”), he will stop at nothing to unravel the mystery and find their son—and, in doing so, he unearths a legend that refuses to remain buried in the past. Mike Lawford is an almost-tenured professor teaching literature at a New York university. On Halloween, he finds out he has finally received tenure and tries to get home as soon as possible in order to take his seven-year-old son, Charlie, trick-or-treating. Unable to find a cab, he runs home only to find that his wife, Kristen, has already left with their son. When they finally return, Mike convinces Kristen to allow him to take their son to the carnival down the block. At the carnival, Charlie disappears after seeing and acting a little strangely. One year later, Mike and Kristen are estranged and Mike can’t focus on his teaching being all-consumed by finding Charlie. 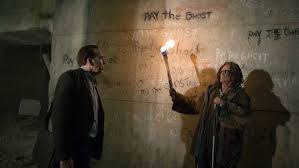 When Mike starts seeing Charlie and hearing things, he begins investigating further, and after Kristen sees some strange things at home, she and Mike bring in a psychic, who dies while in the house. Later that night, Mike finds Kristen in Charlie’s room, but she’s in a trance and carving a symbol into her arm. Mike and Kristen both still believe Charlie is alive and trying to contact them. Mike does a little more research and finds an old Celtic story about a woman and her three children who died in the 17th century. Solving the mystery sends Mike in a warehouse and under the city where he may or may not find Charlie alive and able to come home. 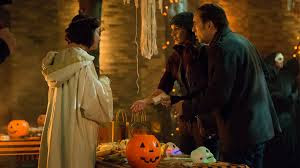 As of late, Nicolas Cage movies have been lacking in anything entertaining. 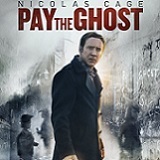 However, Pay the Ghost is a good movie and the amount of over-acting by Cage is toned down a bit. I do believe his grief as a father and his obsession with finding his kidnapped son. Sarah Wayne Callies was good as Kristen, as Charlie’s mother, who though she doesn’t say it out loud, blames Mike for his disappearance. It was creepy, there were a few jumpy moments and the darkness of the movie was really good. There were a few predictable moments, and the story moved at a good pace. It wasn’t slow; I didn’t find myself looking at the clock, bored and hoping the end was coming. I really enjoyed the back story and the reason for Charlie’s disappearance. The way they connected was interesting and super creepy. I don’t know what it is lately with creepy kid movies, but I can’t imagine how extra-creepy these types of movies are for parents with children who are the same age as these creepy kids. 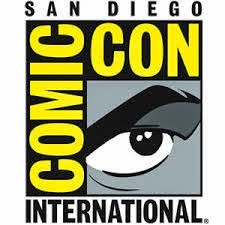 The 1080p high-definition widescreen presentation was good. There are both dark and light moments, and they blend well together. The transition between the two was well done and not abrupt. Colors were both bright and muted, and I really liked the gray/color contrast at the end of the movie, it really separated the two worlds. Overall, the picture was clear and sharp and I enjoyed watching it. 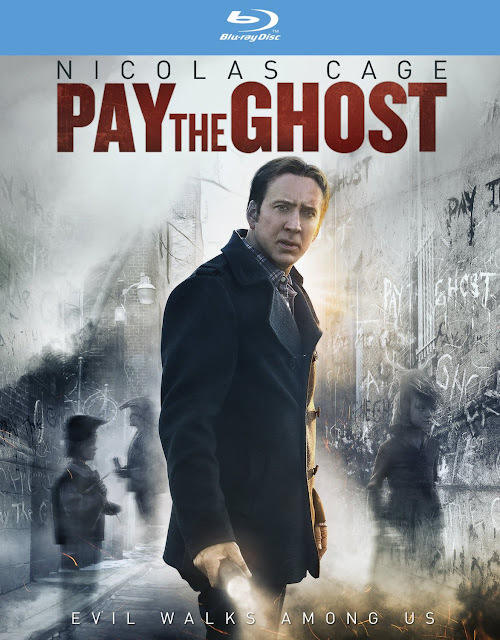 Pay the Ghost’s DTS-HD 5.1 Master Audio was really good. The sound was even and consistent and the volume levels were good. All the dialogue was easily heard and background sounds came through well. All the audio was really well done and none of it overpowered the rest of the movie. It all blended well and gave the appropriate amount of creepiness. Subtitles in English SDH and Spanish are also available. There are no special features included on the disc. Having to rate the disc as a whole, the lack of special features really affects the overall score. Otherwise, this is a solid three stars for movie, video and audio. I enjoyed the story, the acting was pretty good and this is definitely something I would watch again. Which quite honestly, surprises me since I haven’t enjoyed many of Nicolas Cage’s movies lately. Pay the Ghost is a creepy story that reminds parents to always keep their eyes on their kids, especially on Halloween, when who knows who or what is out there.